Brian John Raymond Hall was born in 1968 in Toronto. Brian was raised in the community of Don Mills, and attended George S. Henry Academy, and graduated as an Ontario Scholar in 1987. Brian then attended at College Universitaire Glendon in Toronto where he graduated with a Bilingual BA in Political Science, graduating with First Class Honours in 1990. Brian then attended Osgoode Hall Law School, having graduated in 1993. Brian excelled in the litigation courses at Osgoode Hall Law School, especially in Family Law and in Civil Litigation. 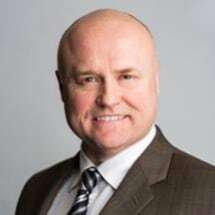 Brian articled with the firm Gowlings, then known as Gowling, Strathy and Henderson, and joined Creighton, Victor, Alexander, Hayward and Morison in 1995 as an Associate. Brian was granted partnership in 1997 and has been a mainstay in the office ever since. Brian's focus has been on that of family law, immigration law, administrative boards and tribunals. Brian is fluent in French. Brian has further been an integral part of the sports community in Durham Region. Brian has coached various teams in different sports and has been part of the Pan Am volunteers for Ajax for 2015. Brian is further a Black Belt in Tae Kwon Do , and is a certified Tae Kwon Do instructor through Tae Kwon Do Canada. Brian has competed internationally for Canada earning a Silver Medal in the over 40, Black Belt Heavyweight Category at the Canadian Open in 2013. Brian is further registered with the Kukkiwon with the World Tae Kwon Do Federation in South Korea.